Your entire stay at the Majestic Colonial is based on the theory of relaxation and fun. You can chose to do whatever you want, whenever you want to do it. Resort guests are asked if they’d like to try out some of the water sports, boating, parachute ride, banana boat, but if that’s not what a guest wants to experience, there is no hard sell. For instance, guest services are ready to accommodate your every need. More towels, just call the service and your towels will be delivered promptly with a smile. Everything is easy there. There are many early risers, so if you’re looking at a particular pool or shaded hut, after breakfast would be a good time to obtain your pool towels and leave them on lounge chairs where you want to sit. 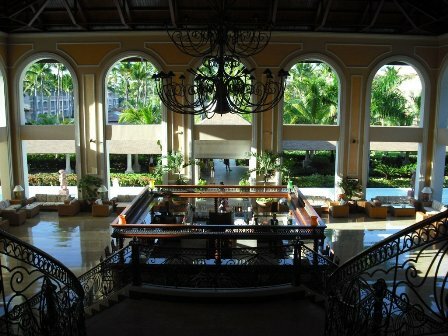 There are beverage bars in the upper and lower lobby of the main entrance of the hotel. There are also several bars along the mile long pool. These bars have bottled water, soda, beer, juice, slush drinks, plain or with alcohol. “The Majestic” is a delicious orange flavored house drink, with or without spirits. Children have their choice of several flavored beverages at the bar that are child safe and thirst quenching. 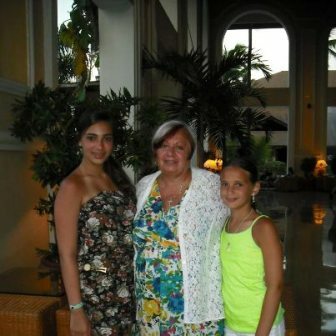 All of the restaurants are included in your all-inclusive package. The two daytime buffets closest to the beach and pool bar are for guests in swim suits or shorts who do not need to go back to their room to change for breakfast or lunch. The Main Buffet dining room, closest to the lobby, serves a variety of food every day. Breakfast is served from 7:30 to 10:00 a.m. Guests should not enter barefooted, wearing bathing attire or wet clothing. At this buffet you’ll find a fabulous omelet station, a carving station, breakfast meats, pancakes, French toast, breads, bagels, fruit shakes, flavorful yogurt, a variety of fruit, hot oatmeal, cold cereal, coffee, tea. . . and a dozen or more items on the breakfast list. You will not go hungry! Feel free to leave a tip for your omelet maker, or bartender, or coffee boy. Then watch the service you get the very next time you step up to that bar, or sit at that restaurant. A couple of dollars is sufficient…unless you want to give more. Lunch is also served at the Main Buffet dining room starting at 12:30 p.m. There is an entire section devoted to Italian food. Select your pasta and toppings of choice, marinara sauce or Alfredo, and it’s prepared right before your eyes. 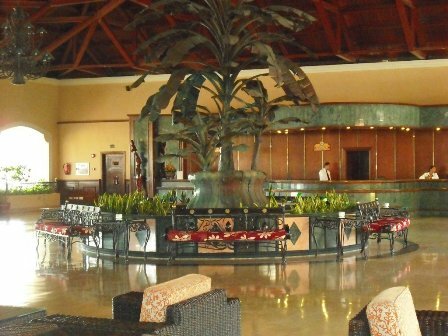 Every day at lunch and dinner in the Main Buffet, there was a roasted pig, turkey, or beef at the carving station, potatoes, yams, plantains, four different choices of paella, vegetables, salads, fruit, dessert, sandwiches, panini, hamburgers, hot dogs. Fill your plate with tacos and chips, and dip your ladle into the soft cheese topping, and indulge. And the dessert! It’s the best. There’s brownies, blondies, different flavored ice cream and sauces for topping, flan, cheese cake, layered chocolate cake, red velvet cake, variety of home-baked chocolate chip cookies, cupcakes . . . the list goes on. Come back and visit Striped Pot to learn more about the special restaurants on the property of the Majestic Colonial, the beautiful gardens and beach, where brides and grooms have destination weddings either on the beach, or a ceremony in a pristine chapel, or under a gazebo located in the gardens on the property. 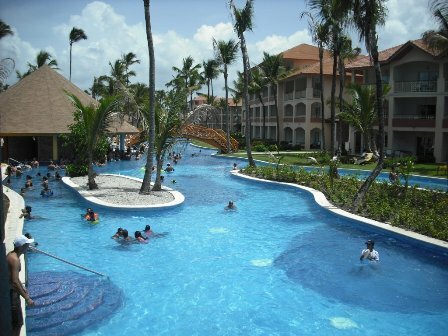 You’ll be amazed at how much more there is to come at the Majestic Colonial in Punta Cana.